Over/Under: Over 155.0 at 1.90 Bet Now! With the hosts holding a 6-0 record and the away team holding a 2-4 record, you would think that this is a game that will hold few, if any surprises, on Thursday night. There is no doubt that Fenerbahce have been the team of the Top 16 so far, the only unbeaten side in the tournament, but this game will represent another tough challenge. 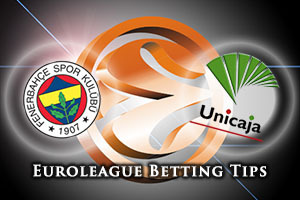 Given that Fenerbahce have won their last 15 home games in a row in the Euroleague, they will come into this game with a bit of confidence. When you add in the fact that they have won 6 straight games in the Top 16 and eight Euroleague games in a row, you have to say that the Turkish side are flying at the moment. 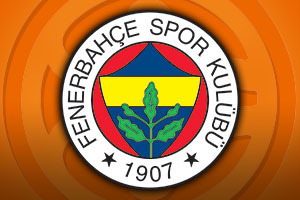 Runs have to come to an end at some point but there is nothing to suggest that this week is definitely the week that the wheels come off the Fenerbahce bandwagon. They are second best for scoring in the Top 16, with an average of 87.3 points per game, and they are also second ranked with respect to the index rating and two-point accuracy, so there is a great deal of consistency on offer from the Turkish side. The Spanish side are not full of confidence at the moment and the fact that they have lost three games in a row, with all of these losses featuring double-digit deficits will be a major concern. The team has slipped down the rankings but as the end of this game takes us to the halfway stage of the Top 16, what better time for Malaga to get back to winning ways? Players like Mindaugas Kuzminskas, Will Thomas and Richard Hendrix know what they have to do in Turkey and if they are up to the task, it could be a closer game than many people are predicting. Looking to take Fenerbahce Istanbul at -8.5, at odds of 1.90, has rarely been a bad idea in the Top 16 and you have to go with the form team again this week. With respect to the Over/Under market, there is a lot to be said for going OVER 155.0 at odds of 1.90. Bet Now!